Declining music downloads and compact disc (CD) sales could possibly be offset by a new physical music medium called a USB Music Card by TVM.Bio Inc. A Tampa-based Florida company called TVM.Bio Inc. believes they might have the solution for a problem that has long plagued the music industry — declining music sales. TVM.Bio has developed a patent pending medium named a USB Music Card, that will not only replace CDs, but provide live time data and analytics to record labels, musicians, and music sponsors. According to the Recording Industry Association of America (RIAA), via The Quietus, sales of physical music rose above those of digital downloads for 2017 in the U.S. for the first time since 2011. The appetite for owning physical music is growing and it can only be fed by the USB Music Card, the replacement for the compact disc. 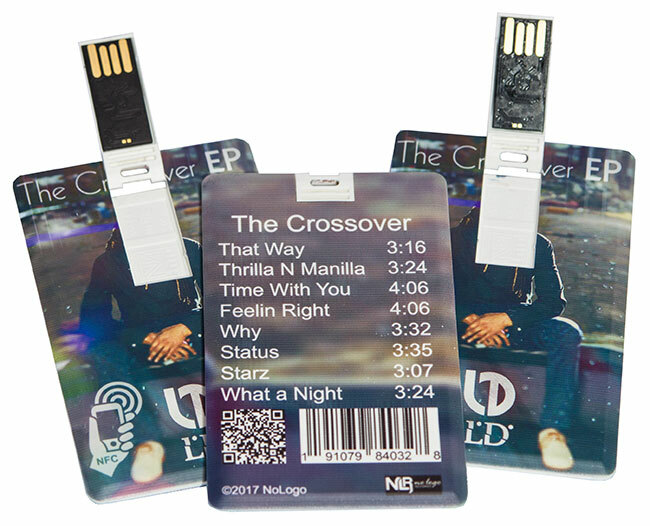 The USB Music Card is a record label’s dream come true with built in worldwide tracking analytics by TVM.Bio Inc. Envision a physical medium that contains mp3’s from a musician’s newest album, plus pics, and videos with live time analytics and then throw in sponsorship advertising to reduce the cost to record labels, that’s a USB Music Card. Overall sales for physical and digital music last year increased 16.5 percent to $8.7 billion according to new data from RIAA. Physical sales decreased four percent from 2016, which the RIAA say is “a lower rate of decline than recent years.” As predicted by companies such as TVM.Bio Inc., digital downloads are in trouble, as they fell 25 percent in the U.S. in 2017 with news of Apple planning to completely phase out music downloads as early as 2019. Another important factor about physical music is that it outweighs virtual in marketing and advertising because once your phone or computer is off, you are no longer reminded about the musician’s music. The increase in physical music sales is likely due in part to the increase in vinyl sales through major retailers like Barnes and Noble, Target and Urban Outfitters, as well as events like Record Store Day and Cassette Store Day. In regards to CDs, despite bleak numbers and news earlier this year that Best Buy will discontinue their sales of CDs, Salon pointed out that CDs are still the most popular format for people purchasing albums, but one can only imagine what new technology like the USB Music Card will do to increase physical music sales. It only seems as a matter of time before big box retailers will have to accept the USB Music Card as the standard of replacement for CDs and begin to carry them.